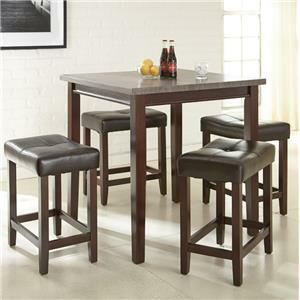 The Bolton seven piece counter height dining set puts a fresh, practical twist on casual dining. The table features a pedestal base that includes two drawers for storing serving items or place mats, and the top of the base acts as a shelf. 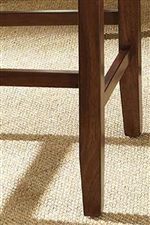 Tapered legs and line molding establish clean, mission style lines, while the brown finish exudes casual warmth. 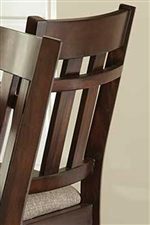 The included counter chairs feature expertly crafted tapered legs and a striking slat back design with accenting horizontal rungs. Box stretchers connect the legs, providing a place for you to rest your feet as you dine and enhancing the clean and structured appearance. Enjoy an intimate dinner with family around the table's square top or add the 12 inch butterfly leaf to accommodate extra guests for a dinner party. 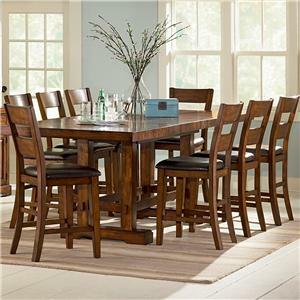 Add the Bolton counter height dining set to your casual dining room for rustic mission style with versatile storage. 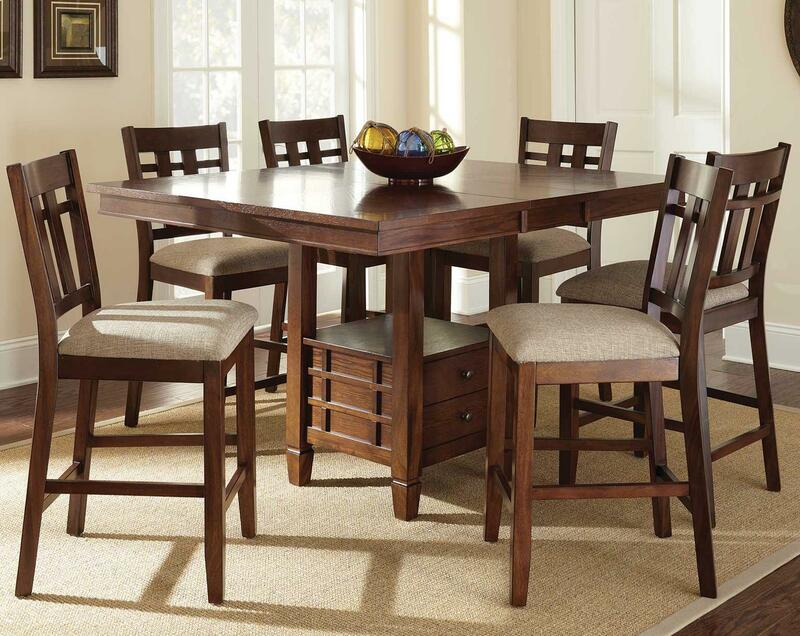 The Bolton 7 Piece Counter Height Dining Set with Storage Table by Steve Silver at Furniture Superstore - NM in the Albuquerque, Los Ranchos De Albuquerque, Rio Rancho, Santa Fe, Corrales, NM area. Product availability may vary. Contact us for the most current availability on this product. The Bolton collection is a great option if you are looking for Mission furniture in the Albuquerque, Los Ranchos De Albuquerque, Rio Rancho, Santa Fe, Corrales, NM area. 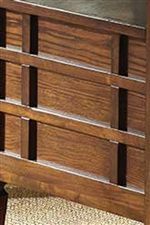 Browse other items in the Bolton collection from Furniture Superstore - NM in the Albuquerque, Los Ranchos De Albuquerque, Rio Rancho, Santa Fe, Corrales, NM area.